What's it like to watch history in the making? I found out, beginning in August of 1985. I started at Modern Air Conditioning in Fort Myers, Florida, five months earlier, in March of 1985. I was something of an experiment. Then company owner, Ron Smith, wanted to see if within one week, you could make a residential replacement salesperson out of a person with no HVAC experience. What's more, this person would work 100% straight commission and would receive no training salary, no draw, no vehicle and no car allowance. My fourth day on the job, I closed my first lead out the gate. I enjoyed about five blissful months as the new wunderkind. I was making it and life was good. Then something horrible happened. A new guy showed up, once again hired as an experiment. This guy closed his first fifteen leads. He instantly doubled my closing ratio and, within months, began crowding the walls around his desk with plaques declaring him "Staff Engineer-of-the-Month" and others stating he'd had yet another "$100,000 Month". His first full calendar year in the business, he set a new industry-wide sales record for residential replacement equipment sales-- $1,000,000. I'd been outdone in a major way. That "new guy" was Tom McCart, the person who came to be known as "HVAC's Million Dollar Salesman." Tom spent the next fifteen years in retail store management, where he acquired formal training on such things as human resources, inventory control, financial statements and other aspects of business management. He left when he was asked to transfer for the tenth time in fifteen years. Tom admits that he interviewed at Modern Air Conditioning in Fort Myers, not to find a job, but to acquire a signature on his Job Search Form so that he could collect Unemployment Compensation. The way he saw it, Unemployment Compensation was going to be the first paid vacation he'd had his entire life. Things didn't go as planned and, much to Tom's surprise, he was offered a position as a residential replacement salesperson. A consequence of this is that he never did receive even his first Unemployment check. Tom was born into a poor, rural family, whose first home had a dirt floor and no indoor plumbing. As if poverty wasn't a large enough hurdle, he also had polio and spent the ages of two to five unable to walk. The first $200 he made was running "white lightning" in the backwoods of Kentucky at the age of fourteen. He dropped out of college to volunteer for the U.S. Army in 1966, and was assigned to the tank corps in Europe. When asked why he joined the tank corps, he responds, "You don't have to obey the road signs when you're in a tank". Take if from someone (me) who knows that Tom McCart breaks all the rules, that was a mere foreshadowing of the future. 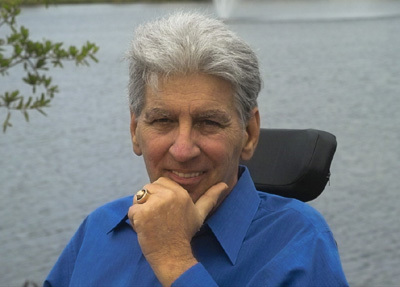 After leaving the military, he sold real estate in Cape Coral, Florida, "at low tide". He left that business after one year because, as he jokingly puts it, "You only had a 12-hour selling window per day, then the property went back under water". Tom was very interested in genealogy, was very proud of his Irish heritage and was a member of the Sons of the American Revolution. Prior to Tom's arrival, the sales office at Modern was a quiet, reserved and dignified place to work. Tom changed all that with his bawdy sense of humor, his practical jokes (for instance, placing clear plastic wrapping over the toilet bowl) and his ruthless pursuit of residential replacement sales. He was Staff Engineer-of-the-Month so often that, after awhile, the company ceased issuing the monthly distinction and plaque. Looking back, Tom says, "I found myself working harder for that $7 plaque than I ever did for money". Tom didn't just want to beat everyone's sales volume, he wanted to slaughter us-- and that he did. I believe I can speak for the entire eleven other salespeople at working at Modern at that time when I say, we despised him. Sure, his practical jokes and kidding were a bit grating at times, but I believe that our major problems with Tom were simply that his sales figures were making ours look bad. We wondered how he could be doing so much better than we were. Eventually we figured out he was making sales by giving his commissions to his prospects! Of course, that didn't make sense, but such is the nature of the Green-Eyed Monster once it gains control of you. Note to all potential top salespeople out there: Be prepared to become the most unpopular person in the company! Out of the blue, Tom invited me to run a few calls with him to observe him in action. To say that the first thirty seconds of the first call I witnessed him run permanently changed my sales approach for the better doesn't do the moment justice. Literally, as we walked through the door on the very first call, I saw him instantaneously transform from the cruel shark that had been chomping at my nether regions for the past year or so into the kindest, gentlest, most well-mannered, giving, attentive, sweetest, reverent, competent, capable, caring and loving person I'd ever seen. It was obvious why he was outselling me. I was running calls to make sales. Tom was running calls to take care of peoples' needs. I began tagging along whenever possible, learning volumes on presentation skills with every single call I saw him run. Tom also took it upon himself to mentor three other salespeople at the same time. He also volunteered at the Dale Carnegie Sales Course several times, each of which was a commitment of two 3-hour nights per week over 13 weeks. The man had to help people. Tom and I began to meet privately and discuss our calls in great detail, often handing over calls we'd run separately, but felt we couldn't personally close, along with suggestions on how they could be converted to sales. We role-played together and he was an absolute master at showing a return on investment. We became nearly inseparable, eating two to three meals together a day, including weekends, for over a year. In his case, I believe it was for friendship. My motivation was to keep him squarely in my sights at all times. Plainly put, I wanted to learn as much as I could, then use that knowledge to beat him silly the way he'd been beating me. Tom had a serious auto accident shortly after setting his record-breaking year, which took him out of the field for the better part of a year. He left Modern within a year of resuming full-time work. He spent a few years working as a combination salesperson/sales manager for a few local companies, then struck out on his own, hitting the national seminar/consulting circuit. In the mean time, I'd also hit the road as an independent myself. People were constantly asking me about him and comparing us and, unfortunately, I had the poor judgment to bad mouth and discredit him in public on something of a regular basis. At the time, I didn't know I'd worked side-by-side with and had been mentored by someone destined to be a living legend and, in my ignorance, had not fully realized or appreciated the vast wealth of knowledge he'd given me, asking nothing in return. Despite all the camaraderie and all he'd done for me, I was having a hard time getting over all the antics that had irritated me over the few years we'd worked together. I remember an occasion where I'd ruined an entire lunch with two ex-co-workers by ranting on and on about Tom. When one of them left, the other simply stared down into his coffee and said, "Charlie, there's an ancient Chinese proverb that states, "Man who throws dirt loses real estate." Tom started coming by my home office and helped me organize my own consulting practice. He taught me how to operate a computer, start my own computer database, surf the web and maintain my own website. Tom gave up his private consulting practice and spent three years as Vice-President of Training Development for Dwyer Trade Services, the parent corporation of Air Serv, Mr. Rooter and Mr. Electric. Incredibly, when he took the job, he handed me his client list, notes and files and offered to make whatever introductions I requested of him to get me more business. I wondered how it was possible he could not have heard about all the terrible things I'd said about him. I also began to wonder if I'd been blinded by my own feelings of inadequacy and jealousy and that maybe, just maybe, I'd been wrong about Tom McCart-- very wrong. 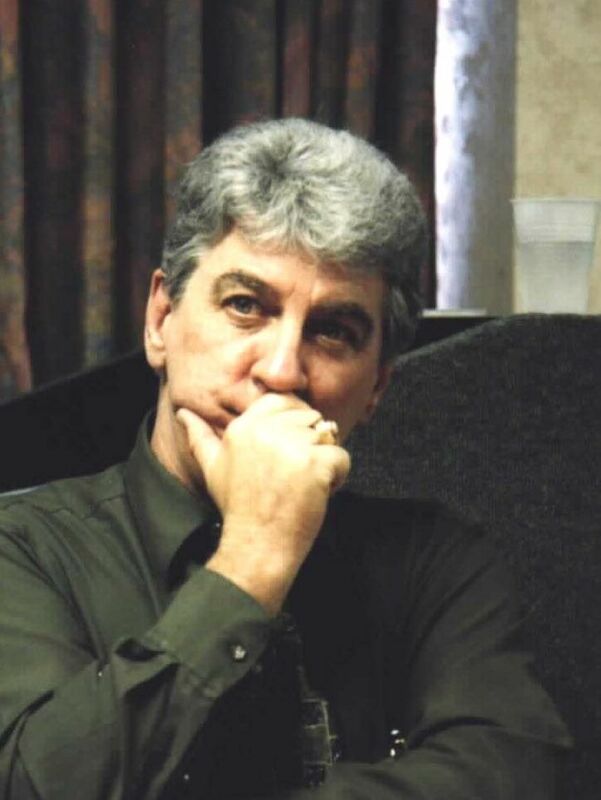 From 1995 to 2003 he once again hit the road on his own, mentoring contractors, writing and conducting seminars. In 2003 he became a Service Roundtable Consult Coach Partner, who later honored him as the first recipient of their "Servant Leader Award" for his service to the industry and also named him a "Service Roundtable Crusader" for his efforts to promote the organization. 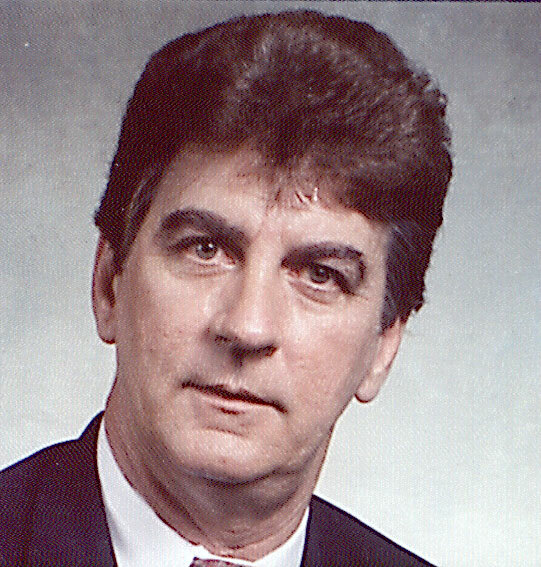 That same year, Contracting Business Magazine, of which Tom was a long-time contributing writer and member of the Editorial Advisory Board named him the first recipient of the "Thomas R. 'Doc' Rusk Award" for his contributions to the industry. In 2001 Tom suffered a serious heart attack while working in Pennsylvania. He allowed that to slow him down for all of about two months. In 2002 he was diagnosed with Amyotrophic Lateral Sclerosis (ALS), commonly known as Lou Gehrig's disease. ALS is an incurable fatal neuromuscular disease characterized by progressive muscle weakness resulting in paralysis. 50% of ALS patients die within 18 months after diagnosis. Only 20% survive 5 years and 10% live longer than 10 years. ALS patients on ventilators may live for many years. Bowl and bladder control remain intact. Seeing his impending disability rushing toward him, Tom spent all of 2002 working like a madman, taking virtually no time off, racing around the airports and contractors' offices on a scooter, essentially paralyzed from the waist down. In 2003 he was diagnosed with and underwent surgery and radiation treatment for throat cancer. Tom McCart was my best friend. We talked nearly every day. He was always there for me. He was the best "sounding board" this world has ever seen. No matter what he was doing no matter what he was going through, he always had time for me and my problems, and a kind word. This includes even during his last days when he could barely breathe or move. Just the day before he died, I headed over to Hope Hospice with a pad of paper filled with notes I had compiled to help me make an important business decision. Despite his condition, knowing he was entering his final twenty-four hours of life, he listened and helped me make that decision. When people would go to his home or to the hospice to encourage Tom invariably wound up being encouraged by him. He led an exemplary life. He was dedicated to his work and to providing for his family. He barely drank at all and never "caroused". He was also dedicated to helping the smaller, less financially well off contractor. Countless times I urged him to raise his rates, but he refused. He said he didn't want to limit the number of people who could afford his services. When he said it to me, I thought he was just trying to sound "noble". Little did I realize at the time that he was, in fact, noble. Just as Tom was an example in his work ethic and his private life, he was also an example when his medical problems began. He wasn't given to complaining and, to the best of my knowledge, never burdened others with his problems. Had I not taken it upon myself to alert the industry to his condition, he would have died at home alone, quietly, not wanting to burden others with his own personal problems. He took what life handed him like a man and he died like a man. He was all man and was the greatest man I've ever known. People talk about what I "did" for Tom McCart in his final years. When I compare all he did for me, I have done nothing. He was always all about helping others, never asking anything in return. That's the raw truth about Tom McCart. On sales: "Stop 'selling' and start helping people to buy." On success: "Successful people will do what unsuccessful people are unable to or are unwilling to try." On the secrets to his success: "There are no secrets. Learn all you can about your product and learn all you can about sales. Set goals make them time-specific and make them mandatory. Then don't settle for anything less than success." On his reputation: "I wasn't trying to set any records or break new ground. I was simply trying to earn a living." On the future of HVAC: "The future of the HVAC industry lies in the technician. Without service technicians, there would be no HVAC industry." On the service technician shortage: "Our service technicians are not recommending this field to their friends, families and children. Currently, in most companies, being a tech is a dead-end job. We'll continue to have a shortage of service techs until we remedy that situation. Additionally, we need to allow our techs to have a life outside of their jobs." On his medical condition: "What makes my situation easy to accept is that we were born to die. Life, to me, has been one challenge after another. It's not how many times you get knocked down, it's how many times you're willing to get up." "I had polio as a child. I was never supposed to walk. I walked for fifty years. Life is a challenge. You've got to meet it head-on. You accept life for what it is, but you don't have to suffer from it. Be the best you can be." "To me, survival is not an option. I want to win. I feel very fortunate. I feel like a winner"
You taught me how to organize my database, which has made me over one million dollars. You gave me all your contacts when you thought you were going to get out of the free-lance consulting business. You taught me how to run a computer. When you were top man at Modern Air, you gave me something to shoot for. You took me out on calls and showed me how to really do it! You came up with the idea of doing service agreement inspections. You came up with the idea of knocking on doors to sell add-on air. You woke me up when I fell asleep with my eyes open. You closed deals for me. You showed me closing techniques I would never have dreamed up on my own. If it weren't for you, I don't know where I'd be right now. You let me use some of your material. Even when we weren't on speaking terms, I always knew you were there, and that you would take me back. You always made time for me. I could call you about anything, at any time. There were times when I thought you were the only person in the world who understood me. You held me up (literally) when I had to do Comfortech in an injured state. May you always meet with success in life. God bless Tom McCart. God bless the McCart family. God bless all of you.